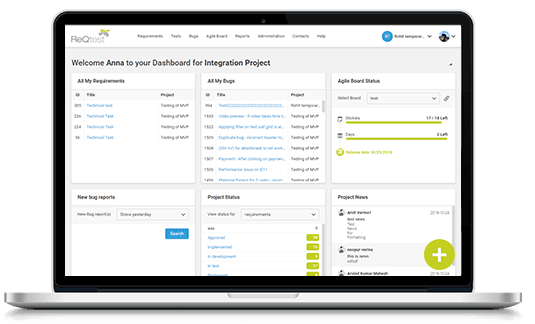 ReQtest is an intuitive and easy to use testing tool with end-to-end project management capabilities that delivers an efficient user experience. Many happy customers around the world. We almost chose HP Quality Center but ReQtest does the same for a fraction of the cost. We wanted a cloud-based solution so that we could avoid handling installation and maintenance and local configuration. We did not want to commit ourselves to a costly investment up front. Our goal was to find a tool that was installation-free and maintenance free. After using ReQtest for a while, I can say that we are very satisfied with how it works. Why choose ReQtest for your team? Reqtest is a fully cloud-based solution. All your team needs to access ReQtest is a web browser. We have our own staff and their knowledge is as good in the field of software testing as in the tool itself. Pay monthly based on the number of active users. This way you only pay for what you really use. ReQtest has customers ranging from a few users up to large corporations such as Scania and Thomas Cook. The test management module helps your acceptance testers become productive quickly. 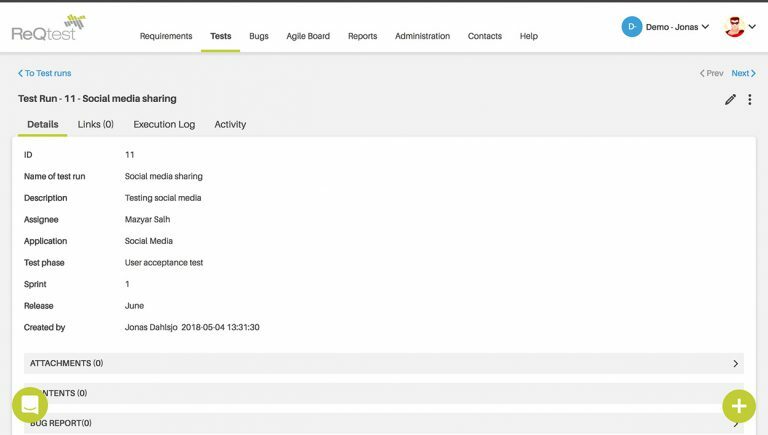 You can also get actionable insights into your testing process with extensive reports. ReQtest provides the easiest & fastest way to track bugs. 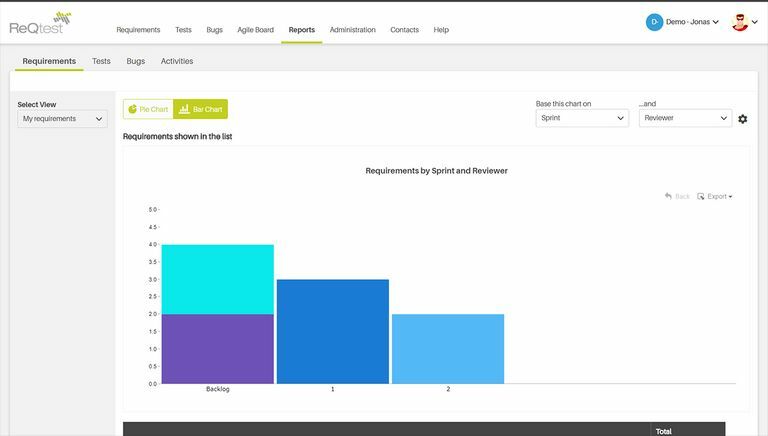 You can gain insights into the effectiveness of your bug tracking process through data visualization in a single click. 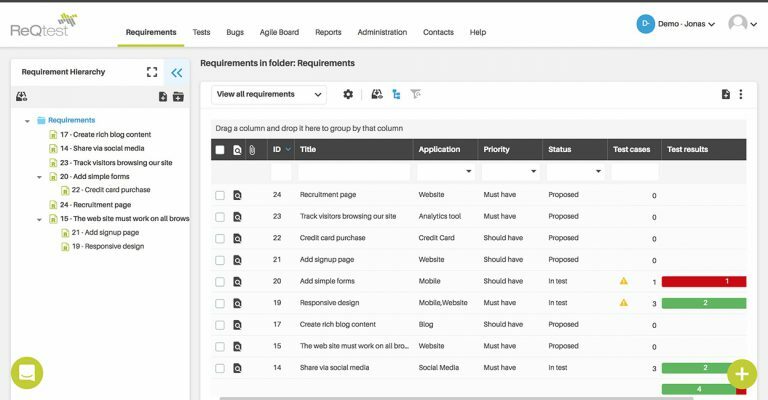 ReQtest can be your go-to tool while working with business requirements, marketing requirements, functional Requirements, non-functional requirements, UI requirements or any other requirements. 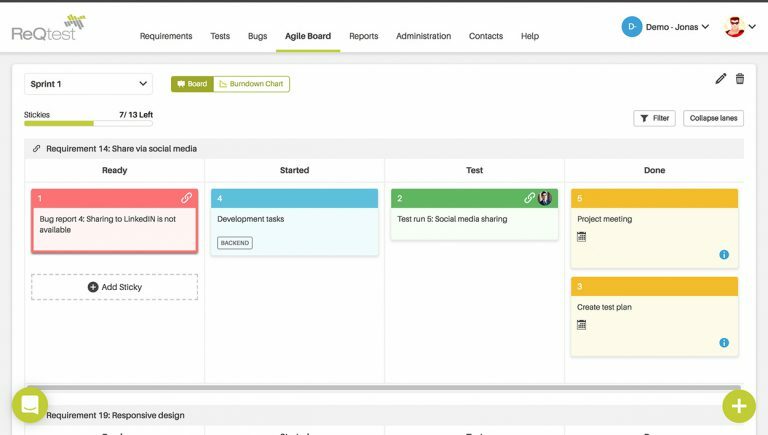 Collaborate, communicate and coordinate on all your projects with an intuitive Agile board. Keep better track of the activities within your project.